Enjoy the beauty of grass now. Cut fresh and delivered to your door. Enjoy the beauty of grass. No more waiting and waiting for grass seed to grow. No more patchy lawn. A lush even lawn that will be the envy of the neighbourhood can be yours! Taking orders of 1 roll to thousands. Estimate the area that requires new sod and allow extra for cutting. After all, why stick in a patch of sod that is only 4 inches long? Dig up the hard, bare patches and remove enough to allow for the thickness of the new sod and for a layer of topsoil. 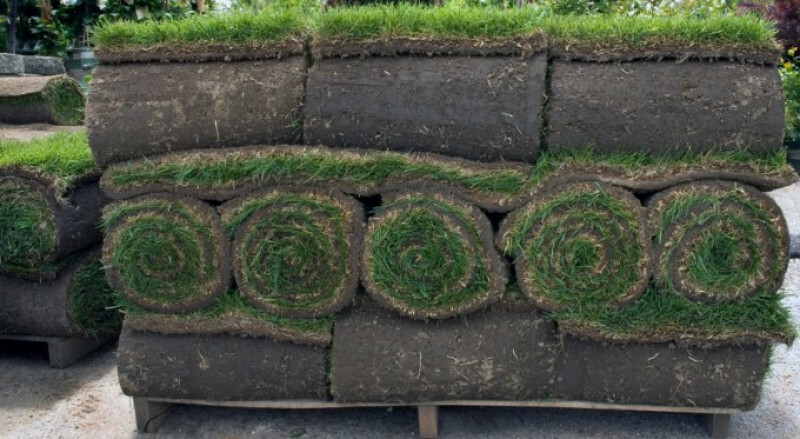 Put down the layer of topsoil so that the new sod can grow a new root structure. 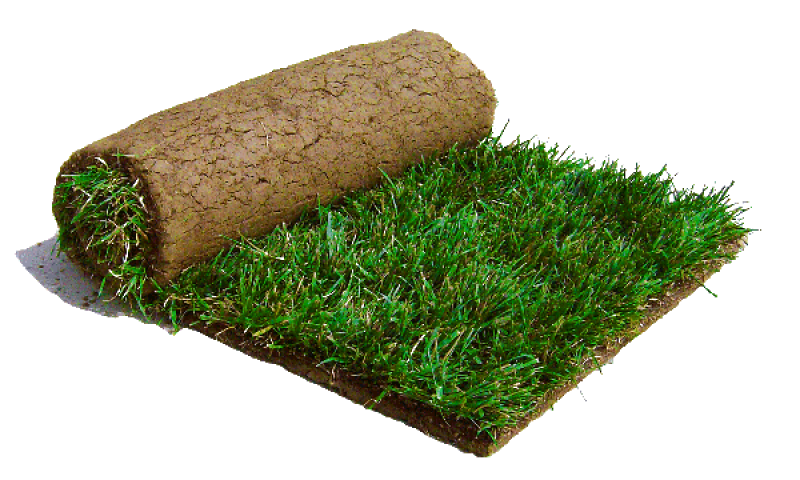 Lay out the sod, using as much of the roll at a time There will be scraps, but by selectively cutting the rolls these can be minimised. Apply a roller to firmly seat the new sod, and water frequently over the coming weeks. 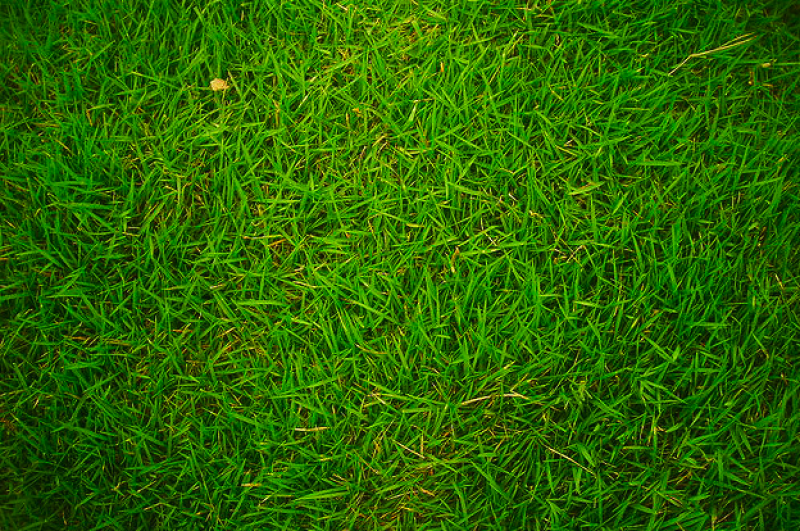 Sod is perfect for septic system installation or repairs, gardens, lawn restoration or installations, gravel driveway restoration or installations, brick walkway or patio installations, hot tub/spa pad installations, above ground pool installations, steps and walkways, ponds and waterfalls, green roofs and more.